Paris Fashion Week is here again and everyone has been busy. 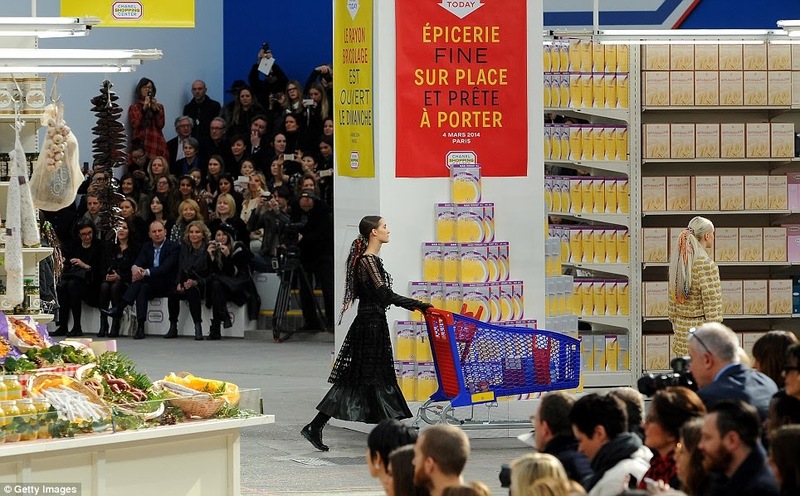 But what really caught my attention is the unique, creative and witty fashion runway execution of the Chanel Supermarket by Chanel creative director Karl Lagerfeld. I've been seeing it a lot on the Instagram of inter nation fashion bloggers and it's just SO cute! 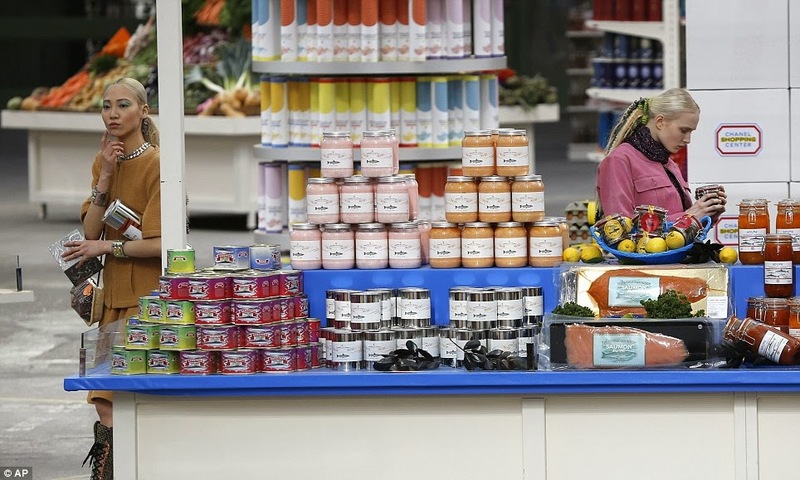 It's actually a real supermarket! 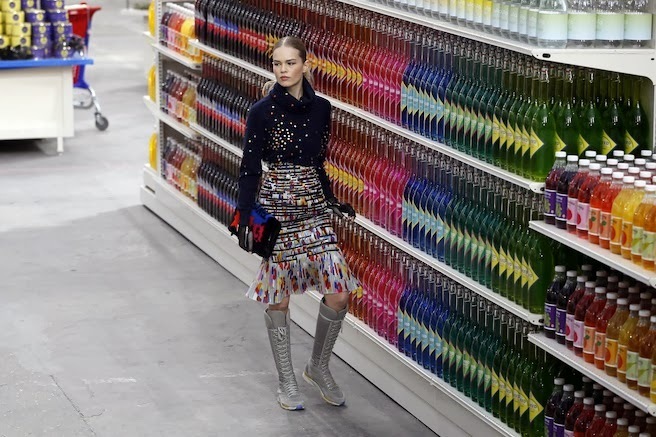 I'm sure this would be the world's chicest supermarket! And if you notice, there are no heels for women in this runway, because according to Karl Lagerfeld, "Women don't go shopping in stilettos" and true enough, I myself won't last shopping in heels! Let's stick to real life! From shopping carts, grocery chained baskets to supermarket inspired accessories. It's just beyond beautiful! 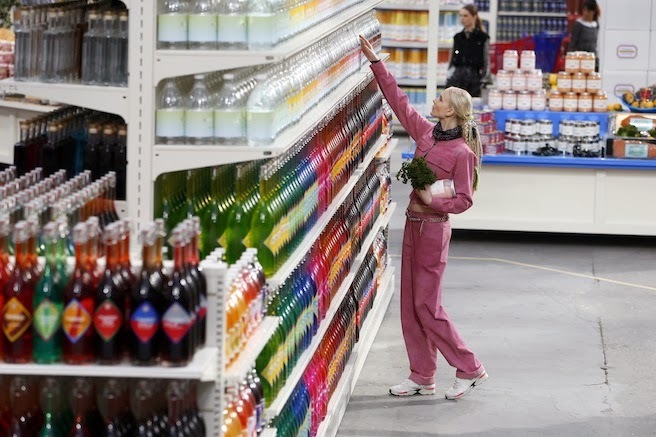 Who would have thought that something as typical and real as going to the grocery would be this fun looking? But these are not only what makes the show special. Kendall Jenner makes her Chanel debut on the catwalk alongside with model Cara Delevingne and Riri makes a front row appearance since her music set the soundtrack of the show. Of course I don't see myself shopping in tweed/ sequined coats, feathered dress or gloves. But I do like the leggings and knits! Of course, I love the sneakers again. 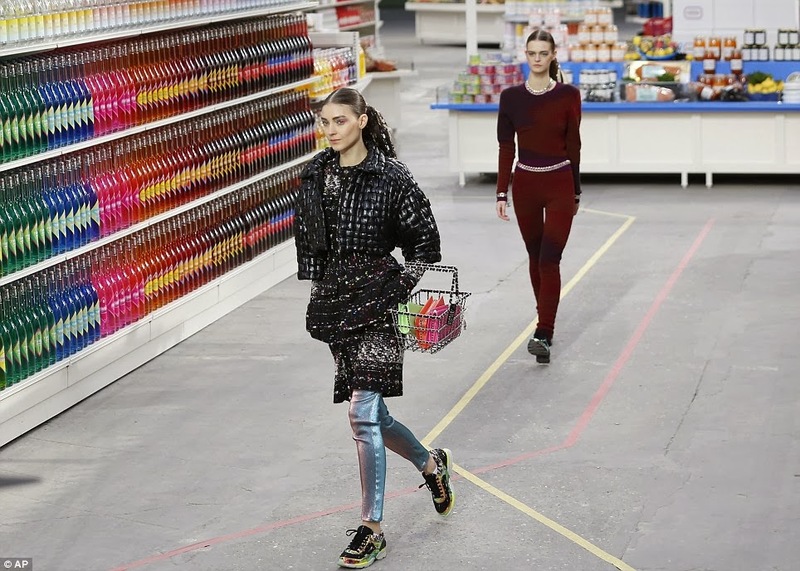 Even the iconic look of a Chanel woman is still in sneakers, but knee-high, of course! Karl Lagerfeld is truly a genius! This has got to be my favourite runway show to date! I'm just in so much awe of the realness! 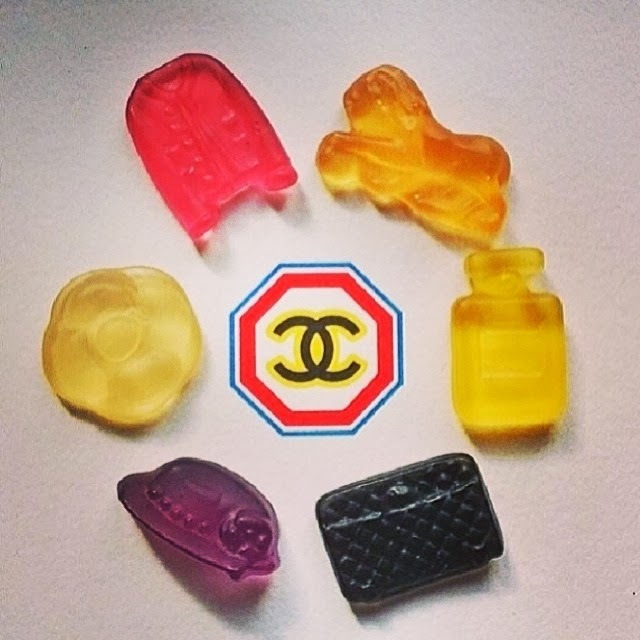 Now, if only I could get my hands on a lifetime supply of Chanel gummy candies? I could would eat this forever! Or maybe not cos they're too cute? Either way, I want them! 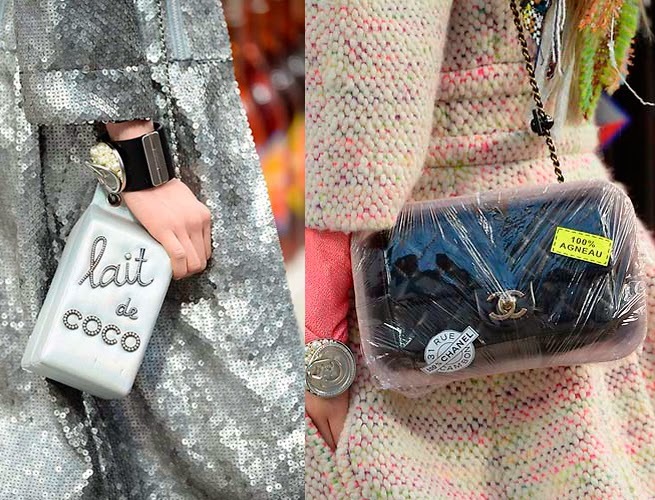 Cheers to Chanel and Karl Lagerfeld for another awesome show!